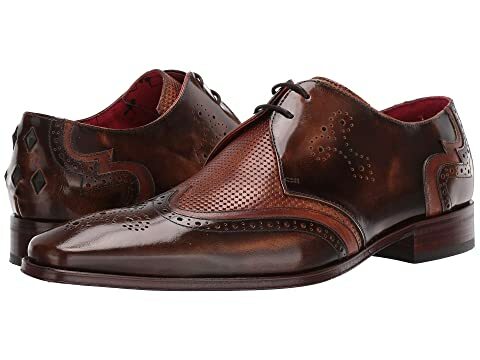 Get used to the involuntary head turns exquisitely outfitted in these dashing JefferyWest™ Scarface Wing Tip Gibson Oxfords. Polished leather upper with perforated panel at the vamp. Lace-up front closure connected through blind eyelets. Studded accents at the heel. We can't currently find any similar items for the Scarface Wing Tip Gibson by Jeffery-West. Sorry!